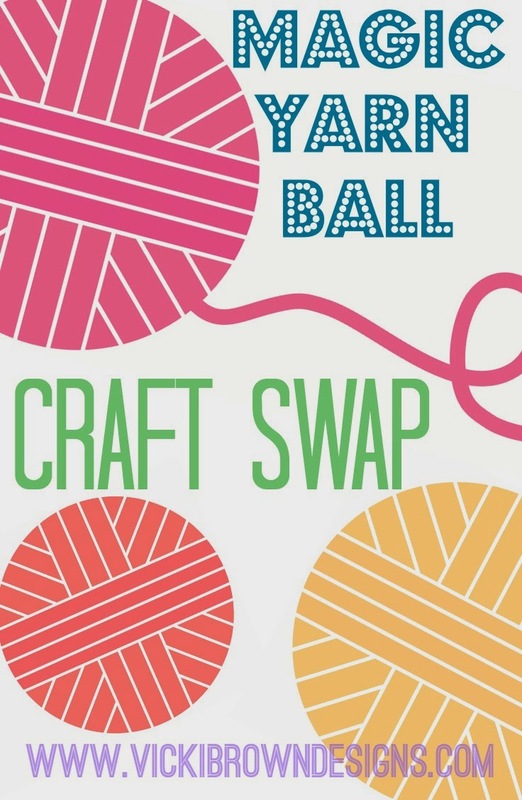 Yesterday I posted a quick question on Instagram, asking if anyone would be interested in taking part in a magic yarn ball swap, the response was great, so here we are. I love magic yarn balls and have been gifting them to my sister and nieces for the last few Christmases, last year my sister made one for me too! 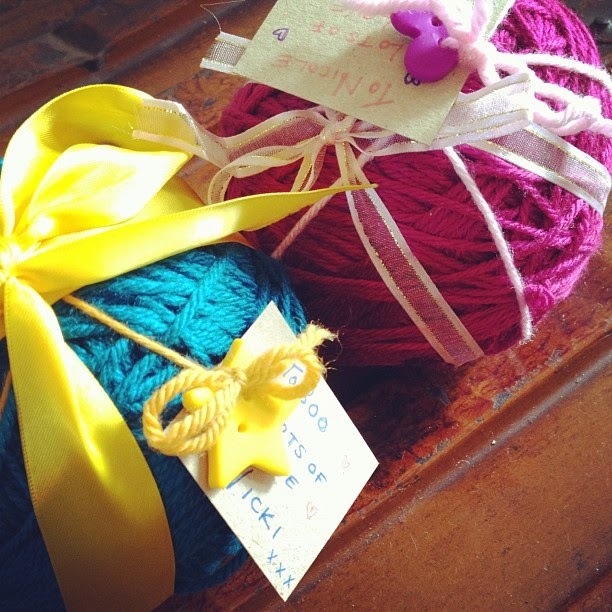 Very simply put, a magic yarn ball is a ball of yarn filled with gifts, so as you knit/crochet you are rewarded as you work your way through the yarn. Ideas for gifts to hide within the ball include, sweets (well wrapped obviously! ), little toys, buttons and jewellery, but really anything goes, you'd be surprised how much you can hide in there! Yarn :: I think 100g or around 300-400m is probably the best quantity for there to be a good amount to make something with, yarn thickness/weight will depend on what your swap partner would like, but I shall ask each participant what weight they would rather give. Using a ball from your stash is absolutely fine, but make sure to include the yarn specifics/label in your swap package. Gifts :: I think 15-20 little gifts is good guide, these do not need to be expensive gifts and all the better if some have been made by your own fair hands. Postage :: I will pair people within their own countries as best I can in order to keep shipping costs and postage times to a minimum, though if you'd rather have an overseas swap buddy just let me know. Deadline :: all packages to be posted by 15th December, I know this doesn't give us much time, but it does mean packages should arrive by Christmas which I think would be nice. I will absolutely not share your address with anyone other than your swap partner. Feel free to post sneaky pics online, but don't give too much away in the making of your ball so as to spoil it for your partner. This is the first time I've organised a big swap like this so I'm happy to hear any suggestions you may have, just pop a comment on this post or email me. I'm very much looking forward to this!